Visit Nijo Castle and Sanjusangendo Temple for their historical value. Eschew the tourist crowds and head to Toji and Yasaka Shrine. And it doesn't end there: take in the spiritual surroundings of Kiyomizu-dera Temple, take a stroll through Gion, and steep yourself in history at Fushimi Inari-taisha Shrine. To find reviews, other places to visit, more things to do, and other tourist information, use the Kyoto trip itinerary builder app . Reykjavik, Iceland to Kyoto is an approximately 19.5-hour combination of flight and train. You'll lose 9 hours traveling from Reykjavik to Kyoto due to the time zone difference. When traveling from Reykjavik in April, plan for much hotter days in Kyoto, with highs around 22°C, while nights are a bit warmer with lows around 11°C. Finish your sightseeing early on the 4th (Thu) so you can travel to Ishigaki. On the 5th (Fri), head outdoors with Cape Hirakubozaki, then enjoy breathtaking views from Tamatorizaki Observatory, and then find your balance on the water with some of the best stand-up paddleboarding in the area. Keep things going the next day: kick back and relax at Kondoi Beach, tour the pleasant surroundings at Banna Park, and then kick back and relax at Yonehara Beach. To find ratings, photos, other places to visit, and other tourist information, go to the Ishigaki trip itinerary app . Traveling by combination of train and flight from Kyoto to Ishigaki takes 5.5 hours. Alternatively, you can do a combination of train and flight. Traveling from Kyoto in April, things will get somewhat warmer in Ishigaki: highs are around 30°C and lows about 24°C. Finish up your sightseeing early on the 6th (Sat) so you can catch the ferry to Iriomote-jima. On the 7th (Sun), head off the coast to Iriomote Island and then paddle through the water with a kayaking and canoeing tour. On the 8th (Mon), you'll have a packed day of sightseeing: steep yourself in history at Wasurenaishi, then admire the sheer force of Mizuochi Falls, then enjoy the sand and surf at Nakano Beach, and finally skim along the rocks with a canyoning and rapelling tour. For photos, maps, reviews, and other tourist information, you can read our Iriomote-jima online trip itinerary maker . Traveling by ferry from Ishigaki to Iriomote-jima takes an hour. Expect a daytime high around 30°C in April, and nighttime lows around 24°C. Finish up your sightseeing early on the 8th (Mon) so you can catch the ferry to Miyakojima. Start off your visit on the 9th (Tue): enjoy the sand and surf at Aragusuku Beach, then enjoy the sea views from Higashi Hennazaki Lighthouse, and then enjoy the sand and surf at Yonaha Maehama Beach. 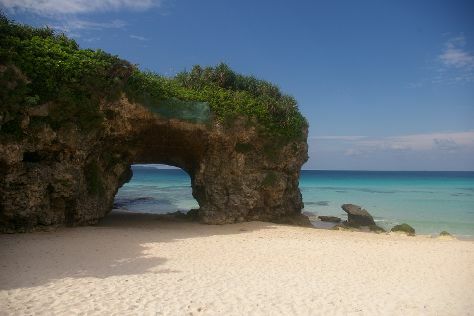 Get ready for a full day of sightseeing on the next day: tour the pleasant surroundings at Toguchi no Hama, then take in the views from Irabu Bridge, then enjoy the sand and surf at Sunayama Beach, and finally make a trip to Boraga Limestone Cave. To find other places to visit, traveler tips, maps, and other tourist information, refer to the Miyakojima trip planner. Getting from Iriomote-jima to Miyakojima by ferry takes about 4 hours. In April, daytime highs in Miyakojima are 29°C, while nighttime lows are 23°C. Wrap up your sightseeing on the 10th (Wed) to allow time to travel to Tokyo. Kick off your visit on the 11th (Thu): wander the streets of Odaiba and then contemplate in the serene atmosphere at Senso-ji Temple. 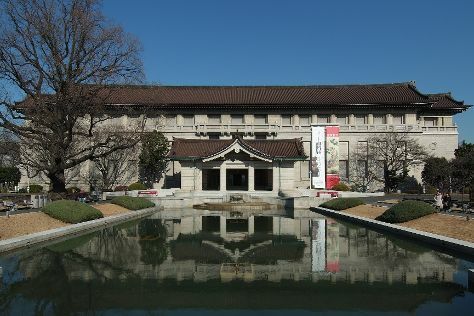 Keep things going the next day: admire the natural beauty at Shinjuku Gyoen National Garden, don't miss a visit to Meiji Jingu Shrine, then examine the collection at Edo-Tokyo Museum, and finally contemplate the long history of Tokyo National Museum. To find maps and other tourist information, read our Tokyo vacation planner. Traveling by combination of taxi and flight from Miyakojima to Tokyo takes 4.5 hours. Plan for slightly colder temperatures traveling from Miyakojima in April, with highs in Tokyo at 22°C and lows at 12°C. On the 13th (Sat), wrap the sightseeing up by early afternoon so you can travel back home.